Measure out your meatball ingredients and set them aside. In a sauté pan, melt 1 tbsp butter on medium heat, then add the blended onion. Sauté for about 2 minutes. This process is called “sweating”, which will reduce the overwhelmingly onion taste in the meatballs. Scoop the onions into a mixing bowl to cool, spreading them around to speed up the cooling process. Should take a few minutes. After the onions have cooled, add the remaining meatball ingredients and mix thoroughly with your hands. Roll the meat into 1″ balls. It’s pretty fun. In a skillet, warm another 1 tbsp of butter on medium heat for about 2 minutes. Add half of the meatballs and sauté until cooked through, turning every few minutes. It should take about 8-10 minutes to cook the meatballs. Once the first batch is done, place them in a bowl and put them in the oven at 170 degrees while you cook the other half of the meatballs. Add more butter for the second batch if needed. When the second batch is ready, add them to the bowl with the first batch to keep warm as you prepare the sauce. Melt 1 tbsp of butter in the skillet, then add the white rice flour and stir together. Toast the rice flour for a minute or two, until it starts to turn a little golden. Stir in the beef broth, honey, and bay leaf, and simmer for a few minutes. Scrape up any remaining gunk from when you were cooking the meatballs and mix it into the sauce, which will start to thicken as it simmers. Finally, add the cream and simmer for another couple of minutes, then remove from heat. 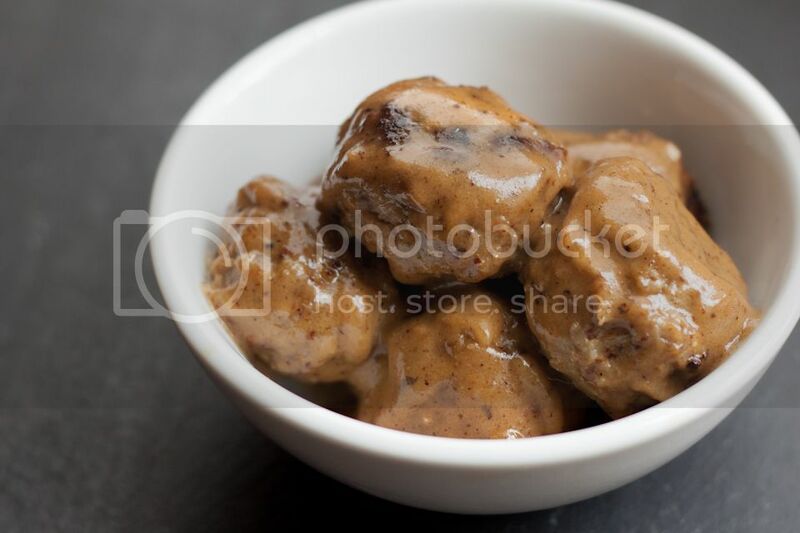 Stir the meatballs into the sauce, until they are well-coated. this helped a lot i'm in year 9 catering and starting to look at skills and international foods for GCSE i also gluten free which can be awkward when cooking so this really helped as it mentioned gluten free clearly - it gets annoying reading through all the ingrediants!! !